At Sydney Urban Limo Hire, we aim to offer you highest level of professional and personalised service thanks to our seasoned and professional chauffeurs. Our highly trained and experienced team of passionate chauffeurs know every route, road and location to ensure that you don’t encounter traffic or adverse road conditions. No matter your needs or requirements our team will work to ensure that your journey with us is as comfortable to your own tastes as possible. With our limo hire services Mosman clients can stretch out with food, drinks, and audio-visual entertainment during your transit. 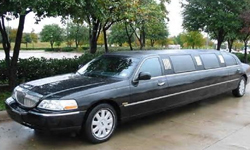 No matter where you are heading the team at Sydney Urban Limo Hire strives to get you there relaxed and revived.